Image: Emma McIntyre/Getty Images for SECNDNTURE. 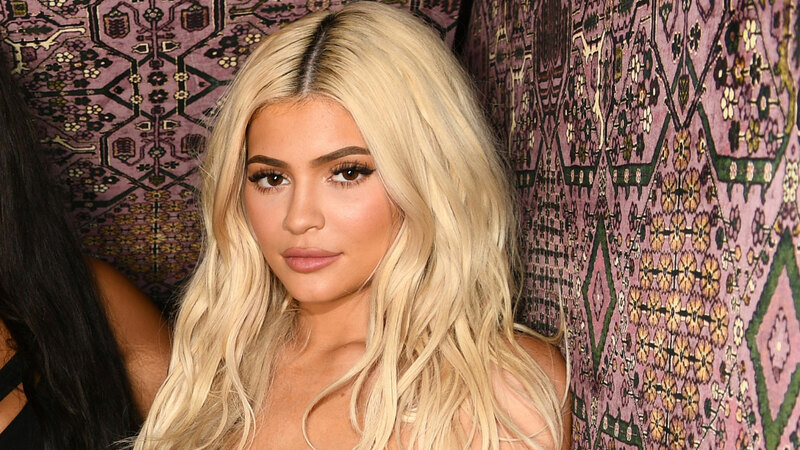 Kylie Jenner — reality TV star, mom to 1-year-old Stormi Webster and entrepreneur with a massively popular eponymous cosmetics line, Kylie Cosmetics, worth $800 million — has a $12 million-dollar, 13,000-square-foot mansion located in the Los Angeles suburb of Hidden Hills, and it’s basically a lavish, modern, on-trend work of art. Her home, designed by Martyn Lawrence Bullard, is so beautiful, in fact, it — and Kylie — made the cover of Architectural Digest along with her momager, Kris Jenner. Thank you @archdigest for the amazing March covers!!! I have been a fan for so long and it was such a pleasure to share our creative sides with you…. such an honor and so much fun! #dreamcometrue #ArchitecturalDigest Special thanks to my amazing designers Tommy and Kathe @waldos_designs and @clementsdesign; Text by @mayer.rus; Styled by @lawrenhowell; Fashion styling by @jilljacobsstudio and @charroxstylist #Repost @archdigest: "Editor @amytastley: It goes without saying, the Jenner/Kardashian clan has an indisputable grip on the American imagination. Presented with the opportunity to show our readers (and the internet!) their brand-new, freshly decorated California homes, we sent in the cameras for exclusive double stories on mother @krisjenner and youngest daughter @kyliejenner. Founded in Los Angeles nearly 100 years ago, AD has a long history of charting the tides of domestic taste via celebrity homes. Douglas Fairbanks and Mary Pickford’s Pickfair estate was published in these pages six times over the decades; @cher made seven appearances; and more recently @juliannemoore, @ricky_martin, Jennifer Aniston, and @robertdowneyjr have opened their doors to us. Because the public feels it ‘knows’ the celebrity (versus our private homeowners), there is an extra frisson in peeking into these residences– what will the interiors reveal…? Prepare for a jolt of surprise in our annual Star Power issue out now and online through the link in our profile. Photo of Kylie wearing @marcjacobs by @thefacinator; design by @martynbullard. Photo of Kris wearing @jc_obando by @wabranowicz; design by @waldos_designs and @clementsdesign. Text by @mayer.rus; styled by @lawrenhowell; fashion styling by @jilljacobsstudio and @charroxstylist"
Inside, the home is vibrant and doesn’t skimp on the pop art (including a self-portrait by Alec Monopoly in her bar), neon-bright wall art and plenty of pink furniture, fixtures, you name it. Kylie purchased the home, which boasts a total of eight bedrooms and 11 bathrooms, in 2016. And since then, she’s kept busy decorating it to perfection. About halfway through this project, she found out she was having baby Stormi, so she adjusted her plans to include a room for her. “When we started this project, she wasn’t even old enough to drink legally. This was her first really grown-up house,” Bullard told Architectural Digest. Jenner really zeroed in on her closets and glam room, as they are “very personal” to her. Her handbag closet could give sister Khloé Kardashian a run for her money in terms of chic organization. But there’s one aspect of her home we can’t help but point out: her ceilings. The dining room has a stunning gold-leaf ceiling. And in the dressing room? The purple-and-gold-hued wallpaper is as glam as it gets. The vintage chrome chandelier adds a nice touch too. “The look is glamorous but totally inviting. Kylie loves to have people over, and there’s nothing so precious that you can’t stand, jump, or dance on it,” Bullard says. To top off it all off, a Tracey Emin neon sculpture reading, “I Can’t Believe How Much You Love Me,” hangs in the bar, and we don’t hate it.